This article is about the challenges that I have identified and experienced through the research and practice of peacebuilding in general and in particular Security Sector Reform (SSR) in Timor-Leste, through an issue in regards to “local ownership”. I will focus on the SSR in Timor-Leste after the 2006 crisis that erupted through the conflict between the two largest political factions and involving the military and the police. To start, I will describe briefly about the military and the police that were involved in the security crisis of 2006. Timor-Leste was annexed militarily by Indonesia in 1976, but after a period of transitional government run by the United Nations (UN), it regained its independence in 2002. The military and police were established with the aid from the international community before the promulgation of the new constitution. 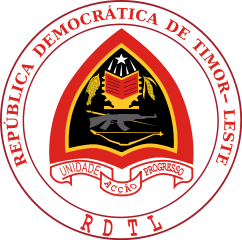 The official name of Timor-Leste’s armed forces, F-FDTL stands for FALINTIL-Força de Defesa de Timor-Leste, and FALITINL is the acronym for Forças Armadas da Libertação Nacional de Timor-Leste, that is the Armed Forces for the National Liberation of East Timor. As can be seen by the name, the new army’s core was composed of officers of the guerrilla forces that fought against the Indonesia army. On the other hand, those with policing experiences during the time of Indonesian occupation were appointed as officers of the new police force. This meant that the two forces that had been on the opposite sides during the fight for independence ended up in the same security sector to cooperate with each other as part of peacebuilding endeavour. The different origins, however, became a source of tension between the two statutory security forces, i.e., the military and the police. Both organisations called for new recruits, provided education and training, and began creating their organic laws and organising themselves. At that time, the government of Timor-Leste did not welcome UN involvement, and the reform of the military was carried out with assistance from bilateral donors, such as Portugal. Thus, the UN’s assistance to SSR in Timor-Leste was revolved around the reform of the police. Peacebuilding is an operation to rebuild the social foundation and structures for sustainable peace in a post-conflict society. The assistance that the international community extends to this end can only be temporary, indirect and/or rear-end supported. Local talents and organisations that would actively carry out the process are, therefore, indispensable; supporting these initiatives of local actors and organisations allows the local community to develop a sense of ownership in their peacebuilding process. This is the desirable form of assistance that the international community is expected to provide. This ideal form of assistance is shared among the UN and aid organisations involved in peacebuilding. For example, the UN Integrated Mission in Timor-Leste (UNMIT), United Nations Development Programme (UNDP) and other related UN organisations as well as the Japan International Cooperation Agency (JICA) operating in that country all shared and understood the importance of the local ownership. However, it is not easy to implement this ideal form in reality, and there are many challenges. Who represents the local community? Are the new leaders of the newly born state representative of the people at the grassroots level? These are some of the questions that immediately arise. Nascent governments in post-conflict countries may not enjoy a solid level of legitimacy or have the power to undertake the tasks involved in building peace. There are also groups or individuals with diverse needs and different interests; some lose family members in the conflict or are driven out of his or her hometown; some are rewarded after the fighting, others are not; some gain vested interests and others lose them. In Timor-Leste, there were those who remained in the country to fight against the Indonesian invasion and those who fled the country; some died for the cause of independence and some worked for the Indonesian military. After all, it is the responsibility of the new government to sort out these differences between the various stakeholders and their diverse interests. However, what if the government does not have the capacity to do so and it needs the help of the international community? Whom should the international community support as the representatives of the local community and their various stakeholders? Advocating the respect for local ownership is one thing, but reflecting such an ideal upon the real policy implementation and actions is quite another thing. This can be identified as a gap between ideal and reality, and this gap is particularly acute in SSR, in which the reform digs deep into the heart of the state machinery. In fact, the gap is of such nature that not only is the ideal and reality different but reality itself may also become the obstacle in realising the ideal. In SSR, the substance of the reform could be distorted the more emphasis is placed on respect for the local ownership, and eventually reform becomes watered down. This, in turn, endangers the people that should be protected by the very SSR. UNMIT had a mandate to assist the Timorese government’s efforts of SSR in the aftermath of the political crisis that erupted in 2006. However, it was evident that the Timorese government and the UN were not seeing eye-to-eye over issues such as the substance of the reform or the role of the UN in the process. The 2006 crisis started with demands to improve the discriminatory treatment within the military. Those dissatisfied were called ‘petitioners’, and when the petition was submitted on 9 January 2006, they numbered 159. On 8 February the same year, the number of those who marched in front of the government offices had grown to 418. In the meantime, the government had failed to act appropriately and the commander, Brigadier-General Taun Matan Ruak, dismissed 591 soldiers (nearly half the armed forces) who had left the barracks, without consulting on the matter with President Xanana Gusmão, who had been overseas at the time. Upon return, President Gusmão gave a speech on 23 March that appeared to admit that there was discriminatory treatment within the military between those who came from the east (easterners; lorosae) and those from the west (westerners; loromonu). The speech exacerbated the situation and the gulf between east and west deepened. The dismissed ‘petitioners’ organised a peaceful demonstration on 24-28 April 2006. However, toward the end of the demonstration, armed mobs attacked the marching unarmed ‘petitioners’, and the situation became at once tense. The police was called in to control the violence but some members of the police force also joined the mob, and Prime Minister Mari Alkatiri ordered the army to intervene. In the mean time, the situation got worse: civilians were given weapons illegally, some soldiers also joined the mob, and the military assaulted the police headquarters, and police officers were shot dead. They had to wait for the intervention by the Australian armed force to end the violence and restore order. The truth about the security crisis in 2006, how it happened or who was responsible for it, has not been made clear to this day. Needless to say, there was a political ‘solution’ to the situation, and the UN also compiled the “Report of the Independent Special Commission of Inquiry for Timor-Leste” (S/2006/822, 17 October 2006). As a result, the Prime Minister, Defence Minister, Interior Minister, and the Chief of Police were all forced to resign. The Interior Minister Rogerio Lobato was charged initially for illegally arming civilians (although he did not serve a prison term as his plea for special treatment due to poor health was accepted, and he was ‘pardoned’ while he was outside of the country for medical treatment before the sentence was decided). However, the pursuit of the truth has been a matter of formality and there was political interference in the trials. The problem of rebel groups was not resolved until the main leader of rebel groups was killed in his assassination attempt on the President and the Prime Minister in 2008. Brigadier-General Ruak, the commander of the F-FDTL, was not charged with any crime and remained in the position until he ran for president in the 2012 presidential election, which he won. Moreover, former Interior Minister Lobato likewise ran for president in 2012 and became fifth in the race, winning 16,090 votes. While some analyses point to the power struggle between the political leaders, such as Alkatiri and Gusmão, as the backdrop to the 2006 crisis, the truth about the incident that involved the military and the police is still shrouded in mystery. SSR included the reform of the juridical system and it was hoped that there would be a fair public trial for the incident that shook the foundation of the state. If Timorese government officials were involved in the incident, the role entrusted to the UN was to guarantee the judiciary’s neutrality and assist in its pursuit of justice. However, it cannot be said that Timorese judiciary adequately tried to unveil the truth or to pursue justice. And, there was little the UN could do against the wall of the local ownership. After the 2006 crisis the UN redrew its assistance for SSR in Timor-Leste. The UN called for the importance of the clarity in the division of labour based on constitutional arrangement between the military, primarily responsible for meeting external threats, and the police that is responsible for maintaining internal security and order. This was not simply a matter of applying an international norm to Timor-Leste, but was based on the lesson from the 2006 crisis that mobilised the military too easily to the detriment of the situation. However, the government of Timor-Leste took a measure that was the complete opposite from what the UN was calling for. 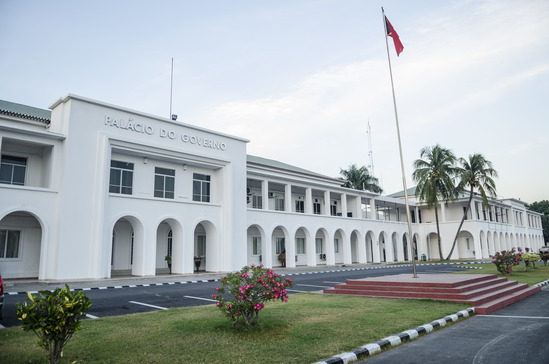 First, in order to avoid the clash between the military and the police, the government created a new Ministry of Defence and Security by merging the two ministries that oversaw the two, i.e., the Ministry of Defence and Ministry of Interior, and appointed Prime Minister Gusmão as its head. Moreover, the government ordered a joint operation between the military and the police to crush the rebel groups that had been a source of national security concern since the 2006 crisis. The situation was resolved through the failed assassination attempt on the President and Prime Minister in 2008. Francisco Guterres, the Secretary of State for Security, proudly declared that, “This is the Timorese way of problem-solving”. That is to say, the SSR carried out by the ‘local’ government was designed to strengthen the cooperative relations between the military and the police and to integrate the functions that oversee the two of them. This was completely different from what the UN had envisaged. In this way, the local ownership was assured greatly at the expense of the UN’s advice being ignored. Another lesson that the UN learned from the 2006 crisis is the importance of keeping the security sector independent from politics. The new police that was established with UN assistance after independence had revealed, through the 2006 crisis, the reality of its failure to maintain independence from politics. The military had also allowed excessive political interference. However, the military was receiving assistance from bilateral donors such as Portugal and the role of the UN was limited. Therefore, the military had become ‘sacred territory’ where the arms of reform could not reach. This in itself is a serious problem in terms of SSR but here we shall discuss the issue in the context of the reform of the police. The problem of establishing an independent police in Timor-Leste was to be solved through the UN’s effort to ‘professionalise’ the police offers. In Timor-Leste, there is a political ‘master-servant’ relationship that has existed since the struggle for independence between specific political groups and police officers or retired guerrilla soldiers called ‘veterans’. At the time of the 2006 crisis, the police officers abandoned their duty as law enforcers and joined specific political groups backed by various interest groups, like the veterans, and this was deemed problematic. Therefore, the UN suspended the law enforcement function of the police, sent the UN police as interim forces to take over this function, and in the meantime trained the Timorese police officers and screened their qualification. The UN’s position was that in order to avoid repeating the mistake of 2006, inappropriate police officers should be dismissed. However, the government of Timor-Leste subverted this UN effort. Worried that those police officers being dismissed or losing face might become causes of unrest, the Timorese government allowed the police officers deemed unqualified by the UN to come back to their jobs. While the local ownership was protected, all efforts by the UN had been reduced to nothing. Moreover, it is hard to say that the Timorese people’s trust in their police had been restored. One of the missions for UNMIT mandated by the UN was, “To assist the Government of the Democratic Republic of Timor-Leste in conducting a comprehensive review of the future role and needs of the security sector” (S/Res/1704, 2006). Specifically, UNMIT was supposed to have first assisted the Timorese government’s comprehensive review of its security sector and then to clarify how the security sector should be reformed. However, the review report, “Securing the Future”, came out only in 2011, 5 years after UNMIT started its activities. Considering that UNMIT withdrew from Timor-Leste in December 2012, it would not be wrong to say that the actual SSR assisted by UNMIT or UNDP was not based on results of the comprehensive review of the security sector. That is to say, only when the UN assistance toward SSR was coming to a close and the withdrawal of UNMIT was in sight did the Timorese government agree to the publication of “Securing the Future” created through UN assistance. While “Securing the Future” is a document officially signed by Prime Minister Gusmão and President Ramos Horta, it was written in English, a language that is neither the national nor official language of Timor-Leste. The Portuguese and Tetum versions that were published simultaneously were translations of the English original. As such, the comprehensive review process was consistently being led by the UN, and affirmations in the Security Council resolutions for the respect for the ownership of the Timorese government turned out to be a matter of formality. UNMIT’s mission was to assist the Timorese government’s comprehensive review of the security sector, and as such the target areas were not limited to the three state security organs (police, military and coast guard); seventeen government agencies, including the presidential office, also came under evaluation. Timorese government agency in charge of compiling the report, “Securing the Future”, was the office of the Secretary of State for Security in the Ministry of Defence and Security that oversees the police. According to an advisor attached to this office, the reason why the report was delayed was that the information related to the military (which comes under the Secretary of State for Defence) came late. The advisor testified that the Timorese government was considering its own reform for the military without interference or directions from the UN, and that it intends to carry it out with the assistance from friendly nations. In fact, the government of Timor-Leste had published a report about its national defence entitled, “Force 2020”, without UN involvement before publishing “Securing the Future”. Asked why the report was delayed, Secretary of State for Security Guterres answered: “The comprehensive review is the mission of the UN and not the business of the government of Timor-Leste. If you want to know the reason for its delay you should be asking the UN”. 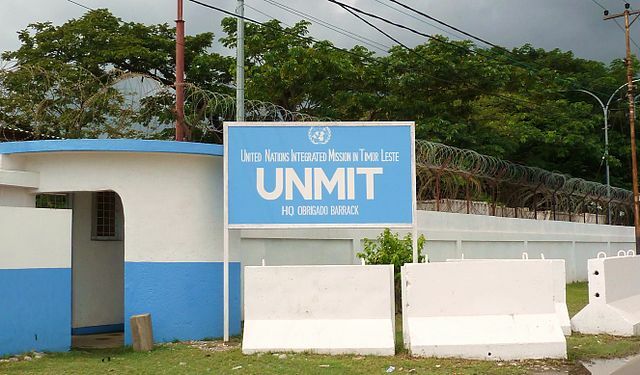 According to UNMIT, as far as the UN was concerned the biggest reason for the delay was that the government of Timor-Leste did not have the political will or interest in carrying out the comprehensive review of the security sector. Frustrated with such a situation, the UN officer in charge wrote, “Securing the Future” without the consent of the government of Timor-Leste and even had it prepared for printing. This went down poorly with Timorese government officials, and further complicated the problem. In the UN there is the premise to respect the local ownership, so if the local government is unwilling nothing can go forward. In this regard, in Timor-Leste, the local ownership was fully recognised but the authority of the UN was undermined. As a result, “Securing the Future” could not become the guideline for SSR in Timor-Leste. The respect for local ownership is not simply an ideal. It is also a realistic guideline necessary for the success of peacebuilding assistance in laying down the foundation for sustainable peace in society. However, as examined in this article, those challenges regarding local ownership cannot be dismissed as unique to the political situation in Timor-Leste. In post-conflict societies, SSR must be carried out in a situation where ‘master-servant’ relationships are still thriving, and sectarian or power struggles unfolding. The local government that should be in the position to listen to the widest range of voices of the peoples and manage the conflicting interests is often sucked into the power struggle, and the gaining legitimacy within the context of the ‘master-servant’ relationship in domestic politics overrides the legitimacy based on democracy and justice that the international community seeks. We need to assist in a way that the respect for local ownership leads to the founding of a peaceful society, and that the two sources of legitimacy can overlap. In order to do so, it is important to understand well the inner reality of the ‘local society’ and to identify what is needed to create the basis for a peaceful society. As a result, there may arise the necessity to engage patiently without succumbing to the influence of a particular force in the local community. Such a stance is desired for those outsiders assisting in peacebuilding.